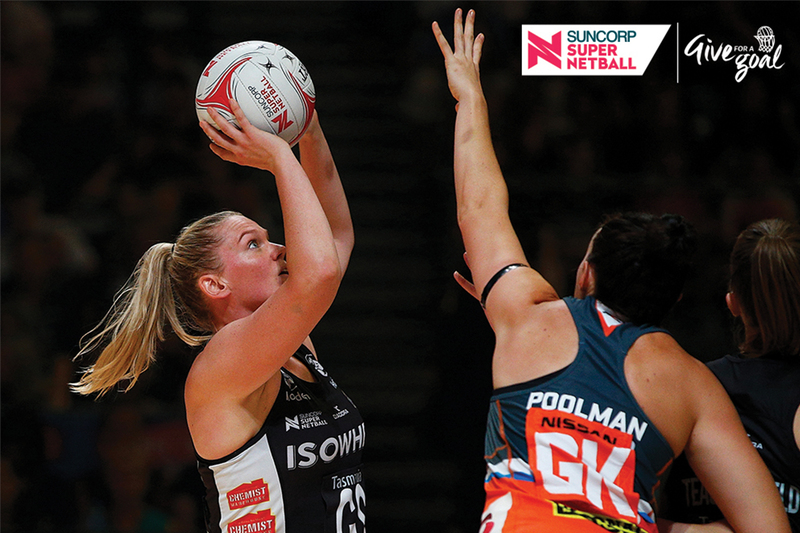 This weekend’s round of Suncorp Super Netball (SSN) is going to be a big one. Not only is there two double headers in Brisbane and Sydney and the fight for a finals berth so fierce, but it also marks the launch of Give for a Goal campaign the fundraising appeal for the Confident Girls Foundation. The Give for a Goal campaign and SSN round is asking for the netball community to get behind the Confident Girls Foundation, a charity that funds programs for vulnerable girls around Australia, to help them to thrive through the power of netball. These programs not only teach young girls valuable netball skills, but also fundamental life skills including, leadership, teamwork, self-belief, and perseverance. With the full support of the league, sponsors and players, excitement for the round is building. Players are getting behind the round by trading their normal shoelaces for purple shoelaces, the colour of the Foundation. Major sponsor Suncorp are showing their support and are “Giving for a Goal”. This meaning, for each goal scored during the round, Suncorp are donating $25 to the Confident Girls Foundation. So let’s hope that we see the highest scores for the season this round. Viewers, attendees and the entire netball community are asked to dig deep and donate, through text or online, to help give every girl the opportunity to thrive and reach their full potential. The round commences the Give for a Goal fundraiser, the major grassroots fundraising campaign for the Confident Girls Foundation. Clubs, associations, schools and individuals are asked to come together and fundraise to help vulnerable girls become confident girls through the power of netball.